This week's Bull is somewhat unusual, and it calls a past case of Danny's into question. 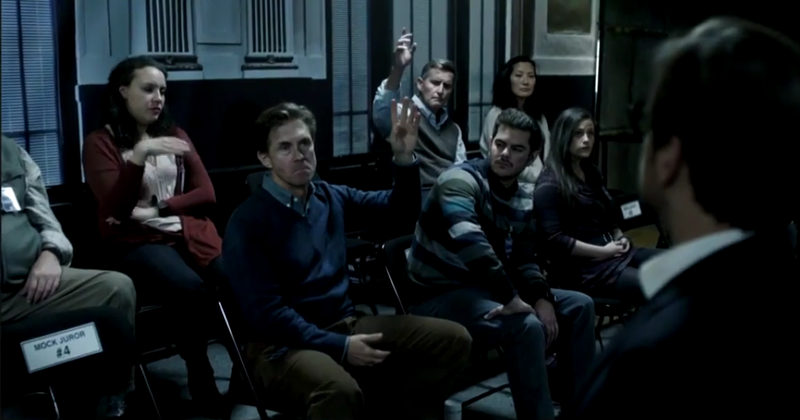 The episode starts in an interesting way, showing a group brought in to be a mock jury. This answers questions some viewers may have had, and others may have just realized they had, while also setting up story for the episode, as one woman brought in brings in a bomb. After the explosive start to the episode, Bull talks to the woman, and it is really great. It turns out that her husband went to jail, even though she believes he has to be innocent, and they have to go to the DA's office to get the case reopened. Then, another layer is added when she says that Danny is responsible for putting him in jail. They decide to use the time while they are stuck to try the case of the woman's husband, and it has an interesting start, as the members of the jury are selected, and as usual, Bull decides who he wants to get rid of in an unusual way, which turns out to be seeing whose memory can be altered easily. Also, it turns out that this case is complicated for Danny. The trial begins, and there are some good moments at the start that are lighter, such as Chunk as the judge. Despite Marissa being uncertain if this is the right move, Bull totally undermines Danny's testimony. He ends up revealing what drugs Danny took on the night where she witnessed the shooting, and she gets angry. The closing arguments are delivered, and the jury's verdict is not guilty. However, Bull stops the jurors from leaving when he gets their attention, and explains how he would have cross-examined Danny if he was arguing for the prosecution. This was an excellent twist, and provided a great ending to the episode, making everyone realize the truth, and fixing things between Bull and Danny. This was definitely my favorite episode of Bull. It was a creative way of utilizing the show's typical format but in an unusual way, and it gave both Bull and Danny more to do than they usually get, as Bull got to deliver arguments, and the case had to do with Danny. Plus, this was an interesting case. What did you think of "Stockholm Syndrome"? Leave your thoughts in the comments!